So you love where you live, but something about your home is not working anymore and it's causing you real frustration — it may be time for a remodel. Start by asking friends and family who they would reccomend. Also, search the web for firms you are drawn to. Look for companies with a long track record of performance and reliability, such as CG&S’ almost 60 year reputation as an Austin home renovation firm. What's possible, how much will it cost, and how long will it take? Early, candid conversations with both design and construction pros are invaluable when it comes to determining a project's feasibility as soon as possible. This means talking about cost, design direction, and timeline right up front. As a design-builder, we can cover all of this at one time. Project planning and design comes first, project execution comes second. Make sure you invest in a good set of construction documents prior to beginning work; you want a clear roadmap. We craft our construction documents to consistently and concisely summarize the plan for the project. We strongly recommend consulting with a quality-oriented, professional builder. Although cost is important, do not base your decision entirely on who will give you the lowest guesstimate! Instead of working with separate designers, architects, and builders, design-build offers a 'one stop shop' with all of these essential players under one roof. It's a way of doing a construction project where the designer and the builder work together in one company, streamlining the process and creating efficiencies. How does the CG&S design-build process work? It's essentially design with construction in mind, and then it’s construction with design in mind. Same team, same goal throughout the process. Creative design, real-world cost estimating, and construction 'best practices' contribute to the project at every stage. How much will my project cost to build? Renovation costs are usually more than new construction costs. Why? Dealing with 'unusual' existing conditions, working around people living in the home, and usually no economy of scale (smaller projects mean higher unit costs) means that there will be extra costs to work within these situations. Design, planning, estimating, and permitting time should be factored into any construction project. Sometimes, these pre-construction services take as long as the construction! Should I renovate or buy a new house? Most people we talk to are concerned with the economics of their project. The question is: Given the cost to remodel, plus what the home is worth and how much you paid for it, would it be smarter to buy a different home that is better suited to your needs? Remodeling allows you to tailor-make your home to your design tastes and functional needs. Buying elsewhere means accepting someone else's design ideas. You get to keep your neighbors, your local hang-outs, your schools. It's often more expensive to sell, buy new, and then probably renovate anyway. What's different about CG&S Design-Build? 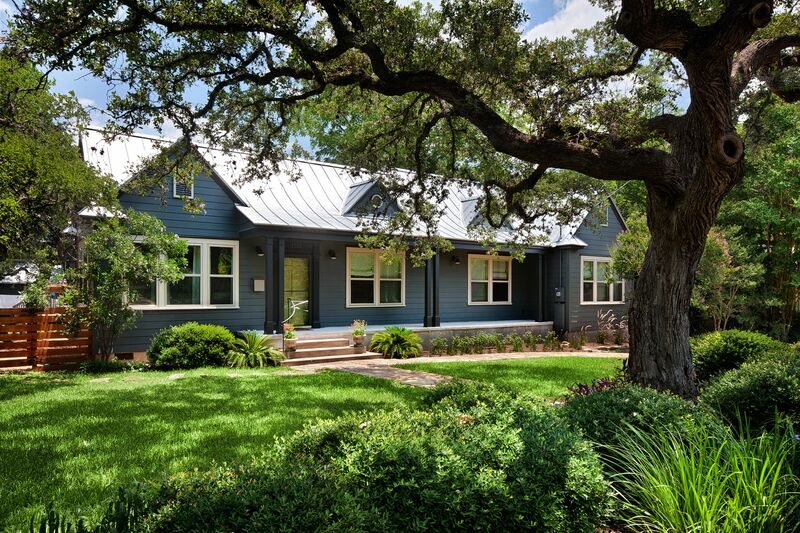 We have been in continuous business since 1957; that's almost sixty years of renovating Austin homes. We are a family-owned and run business, with the third generation now populating the firm. We are native Austinites who know and love this city. We have a talented in-house design studio: All of our architectural staff are employees, not subcontractors. We have long-standing, strong relationships with a wide range of specialty contractors, suppliers, and consultants. Our focus on quality throughout the process allows us to provide our clients with high-end, luxury finished products. We have no one set style; we can design a home that completely fits the desires and tastes of our clients, from traditional to modern and everything in between. There are several options when looking to finance a project. The two most common options (other than paying cash) available in the state of Texas are a home equity loan (also known as a cash-out re-fi) and a home improvement loan. A home equity loan allows the homeowner to borrow up to 80% of the current total property value (less what is currently owed on the home). Terms of the loan allow the homeowner to do whatever they like with the money, and payments are immediately principal + interest. A home improvement loan allows the homeowner to borrow up to 90% of the ‘subject to’ property value (less what is currently owed on the home); the loan is tied directly to the construction project and the loan application requires a general contractor, a construction budget, and a set of drawings. With a home improvement loan, payments are interest-only during construction and principal and interest after the project is complete. Our clients have financed projects with both of these options, and we are happy to put you in touch with lenders that provide either type of financing. Does CG&S accept credit cards? CG&S does not accept credit card payments at this time. For your convenience, we will be happy to set up a wire transfer option from your financial institution.